Renal cysts are relatively common in tuberous sclerosis, occasionally causing severe cystic disease with renal failure. Although the imaging features and gross appearances resemble dominant polycystic kidney disease, the histopathological appearances are distinctive, perhaps unique, differing from appearances in other forms of renal cystic disease. The cysts are lined with hypertrophic and hyperplastic cells that probably cause the cysts by obstructing lumina. The renal abnormality may be inherent in tuberous sclerosis, although inconstantly expressed. 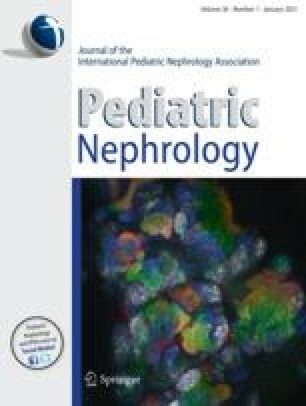 Renal enlargement is sometimes the first recognized expression of tuberous sclerosis, and the occurrence of renal cysts in a child with seizures and developmental retardation leads to a strong suspicion of the diagnosis.